Teeth & Tongue debuted her video for the new single "Unfamiliar Skirts" la st week. 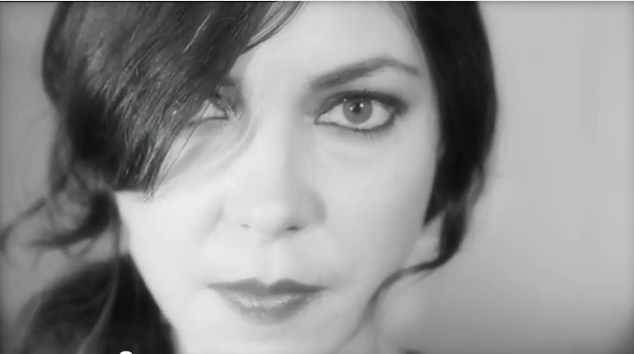 The Lucy Dyson directed video was shot in black and white; we like all things black and white. Scroll down and check it out as well as show information. Shot entirely in stark black and white, the 60s film-noir influenced clip was directed by London-based filmmaker Lucy Dyson, and features singer Jess Cornelius, managing to be coy and be direct all at the same time. It is impossible not to be hypnotized by Cornelius’s vocals as she sings of a woman delivering this cruel prediction to her wayward lover: ‘You will seek salvation in their unfamiliar skirts, until you finally realize I’m the only thing that works.” Ouch!